Not everyone is excited to see Kane back on WWE television. Kane made his return on last week’s episode of SmackDown Live in Ontario, CA at the Citizens Business Bank Arena after Daniel Bryan faced off with Luke Harper in the main event. Once Erick Rowan attacked Bryan to cause the DQ, Kane walked down to the ring to make the save. This led to it being announced that Bryan and Kane will challenge Harper and Rowan for the SmackDown Tag Team Titles at Extreme Rules. It’s believed that Kane will be on WWE television at the least through Extreme Rules. 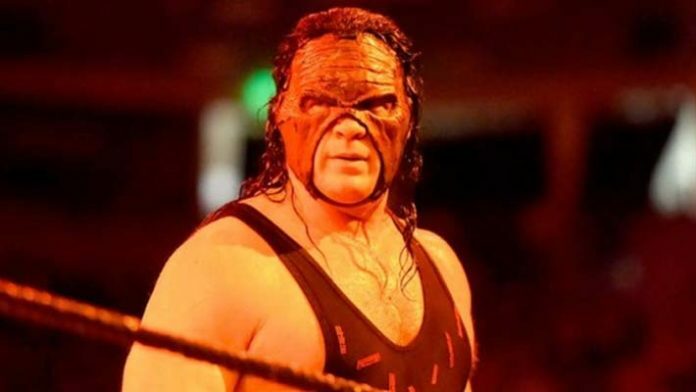 Glenn Jacobs (better known as Kane) has been declared the winner of the Knox County primary for mayor by a narrow margin. Later this year, citizens of the country will decide by voting who they want to win the mayoral race. Democratic candidate Linda Haney has criticized Kane for returning to wrestling because she felt that it was not a good strategy in hopes to become Mayor. This has led to Kane firing back with his own statement that was sent to Newsweek as he has defended his decision to resume his career with the sports entertainment company. Kane added that he may still do a few special things as he has done it or 23 years now and have quite a history. He noted that it will always be part of his life and that he is taking a run at being mayor seriously. What are your thoughts on Kane being back on WWE TV? Sound off in the comment section.